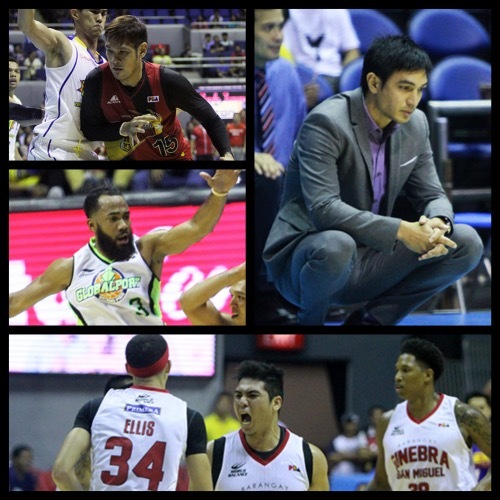 Things continued to get interesting in the 2015-2016 PBA Philippine Cup after wins by GlobalPort, San Miguel Beer, Barako Bull, and Ginebra this past weekend. SMB virtually sealed a place in the semifinals, while the Batang Pier, Gin Kings, and Energy have guaranteed their places in the quarterfinals. GlobalPort’s star backcourt of Terrence Romeo and Stanley Pringle came up huge for the Batang Pier as they escaped the Mahindra Enforcers, 118-116, in overtime of their SMART BRO PBA Philippine Cup clash on Saturday at the SMART-Araneta Coliseum. Pringle and Romeo both finished with 29 points in the game while making several clutch plays for their team. Pringle saved the Batang Pier in regulation, knocking down a buzzer-beating jumper that sent the game to overtime while Romeo starred in a furious finish where he scored the last five points of the contest. Romeo, who was 0-for-13 from beyond the arc at that point, hit a clutch three-pointer to tie the game at 116-all with 29 seconds remaining and nailed the game-winner as he drove to the hoop a few seconds later. Romeo also had 10 rebounds and eight assists while Pringle posted eight boards and seven dimes in rounded performances for both guards. 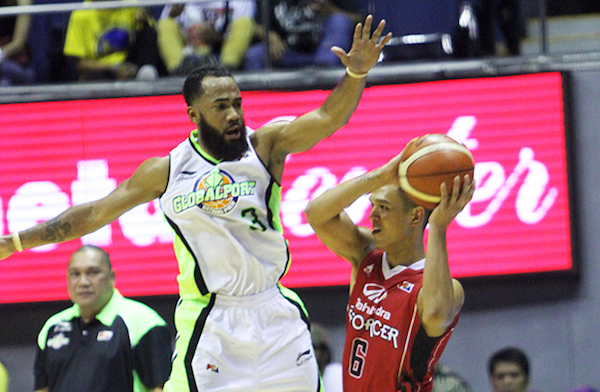 It was GlobalPort’s seventh win in 10 games, keeping within striking distance of the top teams. 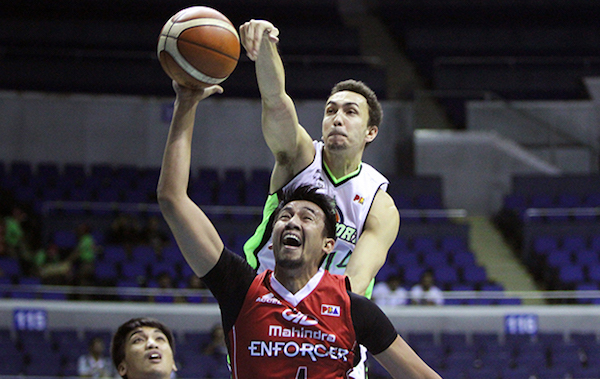 Four other Batang Pier players – Washington, Yeo, Billy Mamaril and Doug Kramer – reached double figures in scoring. Aldrech Ramos led Mahindra with 24 points, while Karl Dehesa finished with 23 points and 8 assists. 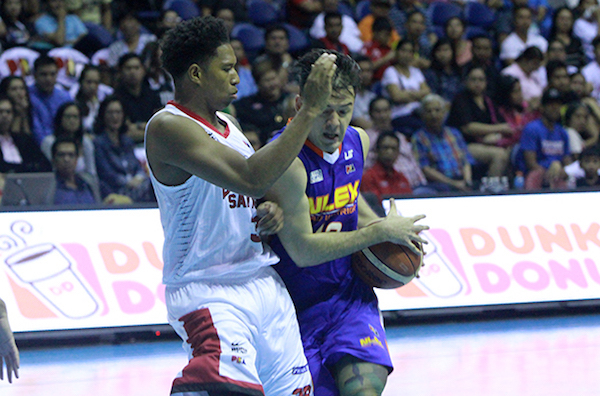 Mike Digregorio, a fourth round pick in the latest PBA Rookie Draft who was playing in just his third game, stepped up with 19 points, 5 rebounds, and 4 assists. The Enforcers, now at 2-8, slipped behind Blackwater (2-7) in the race for the last playoff spot. Stanley Pringle (GLO) - 29pts, 8rebs, 7asts, 2stls, 1blk, 1 triple, 12/18 FGs. 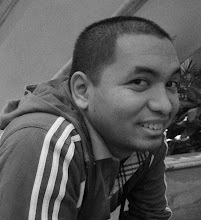 Karl Dehesa (MAH) - 23pts, 4rebs, 8asts, 5stls, 3 triples. 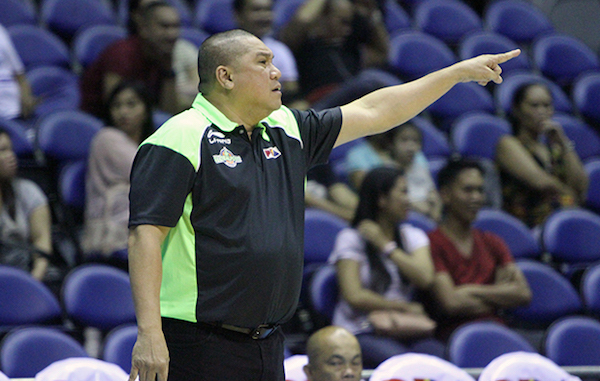 Coach Pido Jarencio and the Batang Pier have remained among the top half teams this conference. Rico Maierhofer rejects a shot by Aldrech Ramos. Stanley Pringle defends against Karl Dehesa. The San Miguel juggernaut kept rolling on after the Beermen completed a blowout win over Talk ‘N Text, 97-84, for their seventh consecutive victory in the SMART BRO PBA Philippine Cup on Saturday at the SMART-Araneta Coliseum. Arwind Santos had 30 points and 12 rebounds, while reigning back-to-back PBA MVP June Mar Fajardo had 22 points, 15 rebounds, and 5 blocks in dominating performances for the Beermen. Alex Cabagnot also had a huge game with 21 points, 8 rebounds, and 6 assists. San Miguel improved to a league-best 9-1, gaining a little bit of separation over Rain or Shine and Alaska, who are tied for second place at 7-2. Though TNT was able to come to within single digits in the fourth quarter, the Beermen put the game away with a 13-3 run that restored the difference to 19 points. 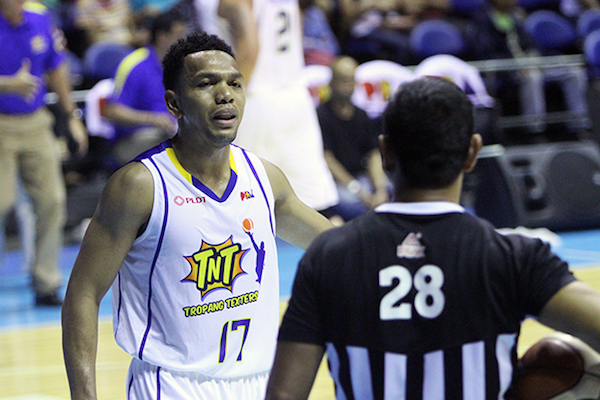 Jayson Castro led the Texters with 20 points and 7 assists, while rookie Troy Rosario added 17 markers and 9 boards. Arwind Santos (SMB) - 30pts, 12rebs, 3asts, 1stl, 1blk, 4 triples, 12/20 FGs. Jayson Castro (TNT) - 20pts, 5rebs, 7asts, 2 triples. Alex Cabagnot had another big game for SMB. Jayson Castro and the Texters continue to be inconsistent. 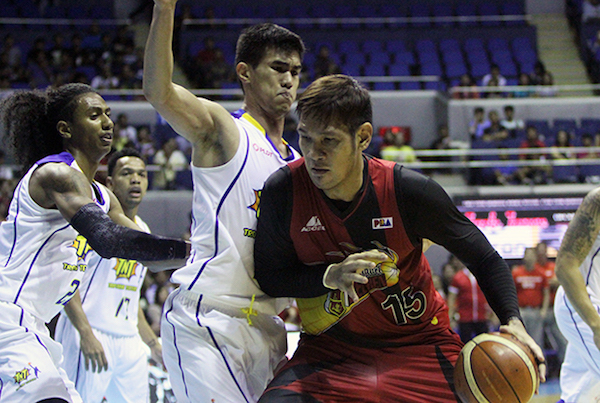 June Mar Fajardo tests the defense of rookie big man Troy Rosario. The Barako Bull Energy turned in a dominant performance in the fourth quarter to clinch a big victory over the Star Hotshots, 101-83, in a crucial SMART BRO PBA Philippine Cup clash on Sunday at the SMART-Araneta Coliseum. Barako Bull, trailing by four points after three quarters, outscored Star, by 22 points, 34-12, in the fourth period to clinch its fifth win in 10 games and keep its hopes for a spot in the top six after the elimination round. Josh Urbiztondo scored 24 points, while JC Intal and Willy Wilson each added 18 points and 8 rebounds for the Energy. Jeric Fortuna tallied 14 points – all of them in the lopsided fourth quarter – while Mick Pennisi also finished with 14 markers, including four three-pointers. Star fell to 3-7, good enough for just ninth place in the conference standings. Mark Barroca had 17 points and seven assists for the Hotshots. 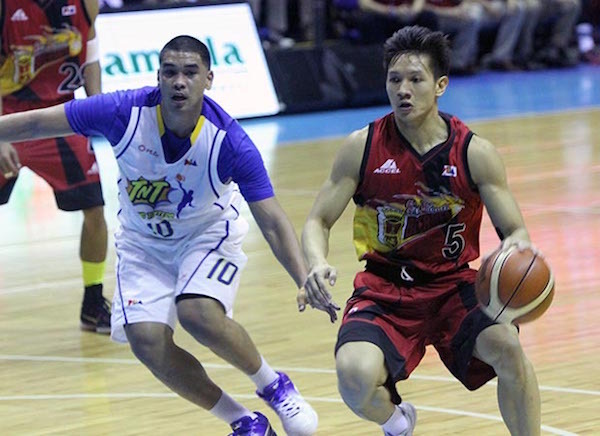 James Yap scored 12 points but needed 17 shot attempts to garner his total. JC Intal (BAR) - 18pts, 8rebs, 6asts, 3blks, 1stl. Mark Barroca (STA) - 17pts, 4rebs, 7asts, 1blk. Jason Webb epitomizes frustration in despair in this snapshot. 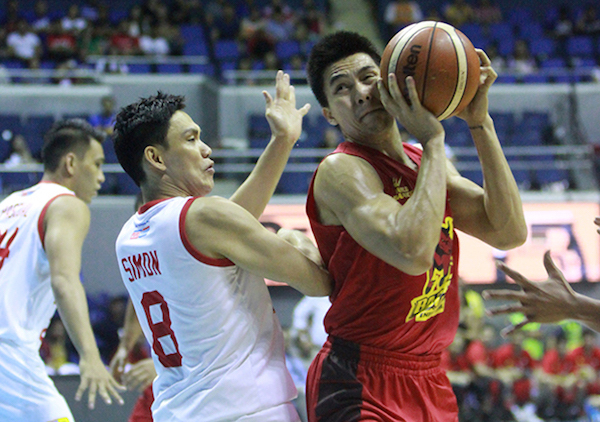 JC Intal had another strong outing for Barako Bull. 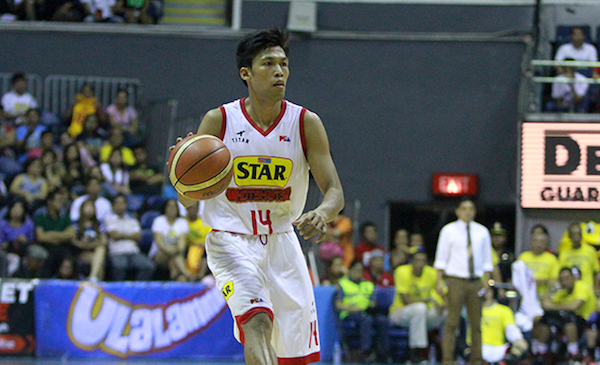 Mark Barroca's great production wasn't enough to push Star to the win. The Barangay Ginebra San Miguel Kings showed a little of the never-say-die attitude they’re known for in an epic comeback from 22 points down that resulted in a 91-90 victory in the SMART BRO PBA Philippine Cup on Sunday at the SMART-Araneta Coliseum. Ginebra trailed, 75-53, late in the third quarter before its second unit, led by rookie Scottie Thompson, put up a furious fight to get back into the game and eventually take the lead for the first time with just 10.4 seconds left in the game. Thompson scored 14 points – all of them after NLEX established its huge lead – to lead the Ginebra comeback. He scored 10 in the fourth quarter, including the two free throws that put the Kings on top, 91-90, in the endgame. Greg Slaughter had a huge double-double with 18 points and 15 rebounds, while Japeth Aguilar had 12 points, 7 boards, and 4 assists. Chris Ellis and Dave Marcelo, who were big parts of the late Ginebra rally, also reached double-figures with 11 and 10 markers respectively. 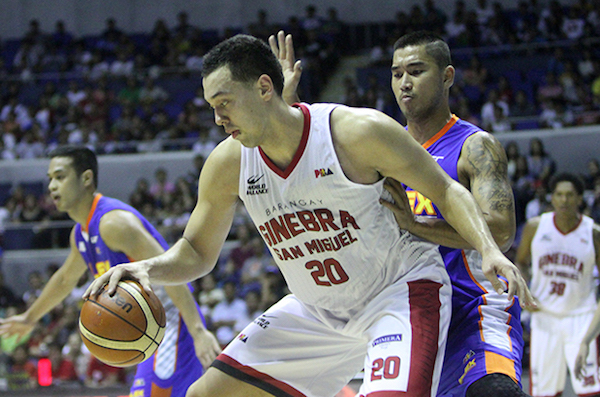 With the win, Ginebra bolstered its chances of finishing in the top six by moving up to 6-4. 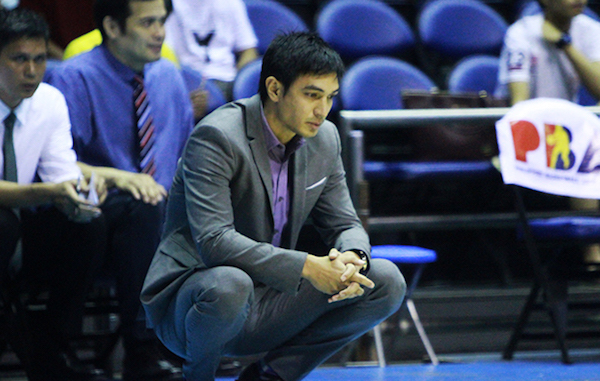 They are currently in fifth place, ahead of TNT (5-4) and Barako Bull (5-5). NLEX, meanwhile, slipped to 4-6 although they are already assured of a place in the quarterfinal round as well. Asi Taulava paced NLEX with 21 points, while Sean Anthony and Jonas Villanueva added a combined 27 markers. Greg Slaughter (GIN) - 18pts, 15rebs, 3asts, 3blks. Asi Taulava (NLX) - 21pts, 7rebs, 2asts, 9/16 FGs. 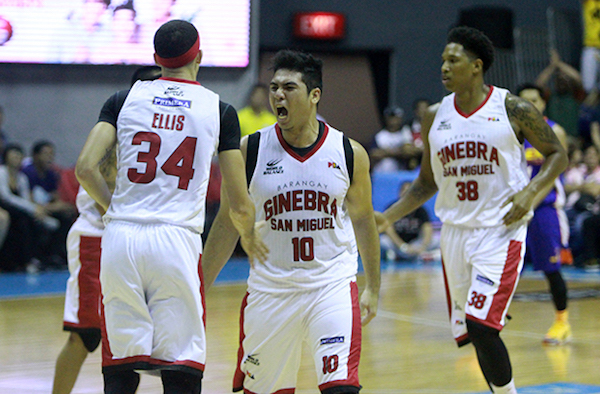 Dave Marcelo unleashes his emotions amidst Ginebra's searing fightback. Greg Slaughter posts up the undersized Glenn Khobuntin. Sean Anthony barrels his way towards the basket.